The Collins Mini Thesaurus is ideal for use in home, school, and office. Comprehensive and authoritative, it gives all the synonyms and antonyms you need. This new edition of Collins Mini Thesaurus is an ideal reference for everyday use. It contains a wide selection of alternative words and opposites, with the most useful words highlighted. The clear colour layout makes the content easily accessible and the handy size makes it easy to carry with you wherever you may be. 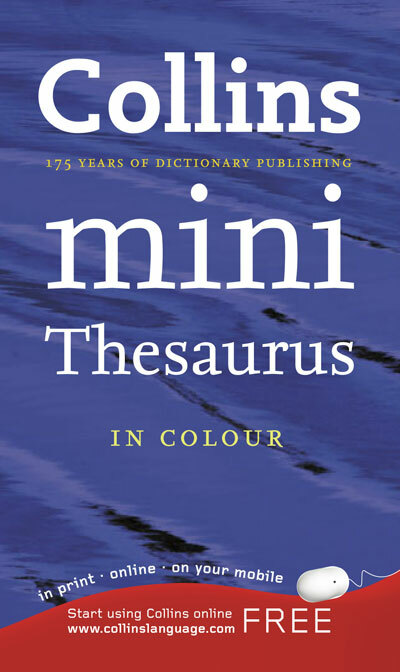 Collins Mini Thesaurus is the perfect companion to the Collins Mini Dictionary.